If you know anything about me, you know that I am obsessed with Paris. And Provence. Ok, maybe all of France. But really, with landscapes like this, can you blame me? If you’re new to essential oils and don’t know which ones to buy, or are even just curious as to how they can support your everyday life, I’d like to suggest that you give good old lavender a go! 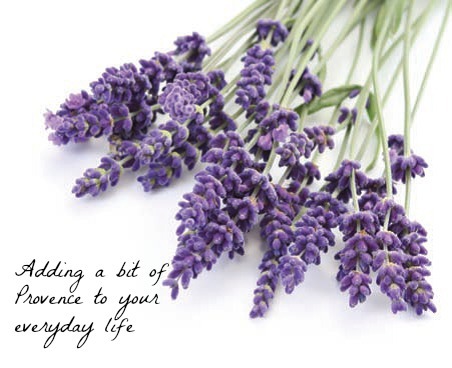 Most of us know that lavender can promote relaxation. Its scent is used in products like bubble bath, or linen spray. We have lavender sachets and eye masks that we put by our bedsides to help us sleep better. But housed in those little purple buds is so much more than a lovely smell. In fact, lavender is the most versatile of all essential oils. Please be aware, though, that not all essential oils are the same. For a long time, I bought my essential oils at the health food store, or from Amazon. I was completely unaware that all essential oils are not created equally. There are different grades of essential oils: aromatic, food (flavoring), therapeutic, and Certified Pure Therapeutic Grade. Only dōTERRA’s oils carry CPTG certification. (Click here to learn more about CPTG)Their oils are put through a rigorous 6 step testing process, guaranteeing that contaminants are kept out of the oils, assuring the presence of their active compounds, at the right levels, which is necessary for safety and effectiveness. Many oils claim to be therapeutic grade, and some may be pure, but few are subjected to rigorous testing standards for chemical composition. If you have a bottle of lavender essential oil at home, please check the label. There should be some indication of how the product should be used. The bottle of NOW lavender essential oil that I have is clearly labeled “For Aromatic Use Only.” Therefore, I do not think it would be safe or effective to use on the skin, and certainly not to be taken internally. Apply directly for other skin issues, such as psoriasis, eczema, or extremely dry skin. Pure lavender oil has long been used for healing burns. Apply directly to the site, or use in a very light, non-greasy carrier such as aloe, immediately and every few hours while healing. Apply 1-2 drops to a teaspoon of carrier oil and apply to the gums. You can also add a couple drops of lavender to a cup of water, wet a washcloth with the solution, freeze and allow the little one to gnaw on the frozen cloth. Amazing, isn’t it? For each of the applications listed, you only need to use 2-3 drops (unless otherwise indicated). Lavender is a great starter oil for those just getting started, and it is definitely one of my go-to oils for just about everything. If you’d like to order your own dōTERRA lavender, click the button below. And if you have any questions, feel free to comment on this post, or email us!